The Senate Committee debating Bill C-10, the omnibus crime bill, heard today how this legislation will negatively impact Aboriginal Peoples. 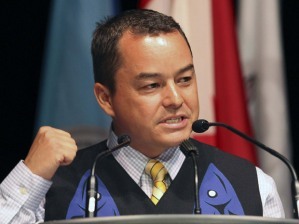 Shawn Atleo, AFN National Cheif (Mike Deal / Winnipeg Free Press). Assembly of First Nations (AFN) National Chief Shawn A-in-chut Atleo spoke via video conference from his community on the west coast of the Vancouver Island. He made it clear that the AFN is very concerned about the direction Bill C-10 is headed in and that this legislation will not make Aboriginal communities safer. Unfortunately his testimony was cut short due to technical problems, so AFN senior strategist, Roger Jones provided further details and fielded the Senators’ questions. Jones told the Committee that the AFN searched high and low for elements within Bill C-10 that would improve the situation for Aboriginal Peoples – and couldn’t find anything. He said the Omnibus Bill will compound the existing over-representation of Aboriginal people in the criminal justice system, such as through mandatory minimum sentences (mms) for drug offences and the removal of judicial discretionwith regard to such things as the Gladue principles. References to the Gladue decision were frequent throughout AFN panel discussion. 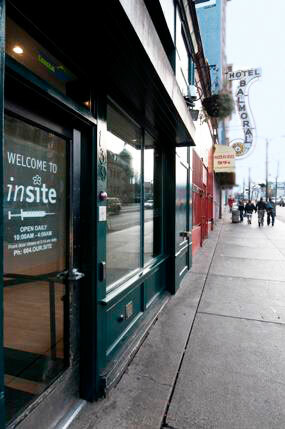 Gladue principles, based on a 1999 Supreme Court interpretation of Section 718.2 of the Criminal Code, provide that reasonable alternatives to imprisonment should be sought and particular attention should be given to the circumstances of Aboriginal offenders. Senator Mobina Jaffer suggested that the Senate could recommend an exemption clause in Bill C-10 so as to preserve Gladue principles. Senator Fraser questioned how often these principles are applied. (Not often enough, Jones replied.) Senator Lang challenged Jones as to why MMS for such reprehensible crimes as child sexual exploitation should have exceptions for Aboriginal offenders. Jones replied that nature of the crime should never negate the need to look at the offender’s circumstances. In contrast to the AFN’s detailed concerns with the Omnibus Bill, University of British Colombia Law Professor, Benjamin Perrin, presented the Senate Committee with his strong support of “all” aspects of the bill, suggesting it balances criminal law by enhancing the accountability of offenders and increasing the rights of victims. He argued that more people charged with cultivating marijuana should be imprisoned and that 89% of marijuana production comes from organized crime groups and the majority of what is produced is destined for the United States, fueling serious border problems. This argument relies on the assumptions of supply suppression and drug probation which have actually made drugs more available and cheaper, and have undermined the public health system. Indeed, all criminal justice legislation relies on certain assumptions – such as incarceration as a tool of deterrence and segregation as punishment – but as the AFN repeatedly pointed out today, these assumptions and their outcomes have resulted in a sustained failure to address the systemic roots of crime or how the justice system continues to fail First Nations Peoples.